Computationally modeled complex of YmdB (gray), RNase III homodimer (brown) and double-stranded RNA (pink). Conserved interface residues including YmdB R40 (yellow,blue) are shown. 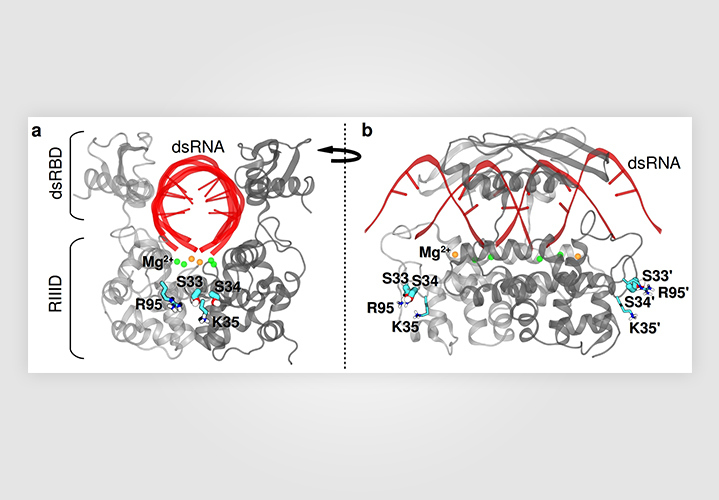 Two views of a homology-modeled complex of E. coli RNase III homodimer (gray) in complex with double-stranded RNA (red). Specifically shown are the phosphotargets S33 and S34, and interacting residues R95 and K34. 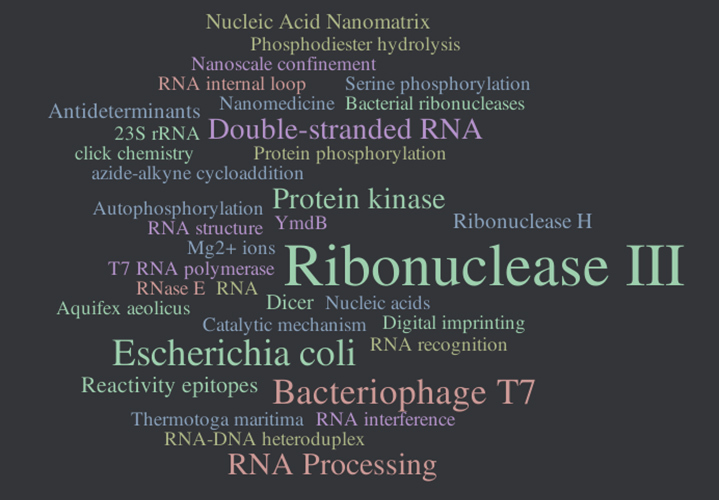 We study how ribonucleases regulate gene expression, and in collaboration with other scientists we seek to develop novel nanodevices for detecting and analyzing RNA and protein at the single molecule level.